This is among the top free education apps and it debuted in 2008. It’s been popular ever since. There have been several updates recently in the app which allow more freedom to the users. The app offers a simple and clean interface which is perfect for students. They can take notes, prepare to-do lists, create reminders and agendas, and obtain access to any data. There is also a camera feature which also proves extremely helpful. The user can snap any document, business card or a note. A student needs to send and receive a lot of files. This free app renders it very easy to share all the photos, documents, notes and videos through a single secure location. It also allows adding notes to the files that the user wants to share. This is most helpful when you are preparing a group project. Dropbox also has a partnership with Microsoft, which allows users to Office files directly from their mobile devices. These files can later be saved into the Drop box accounts. The ‘Notes’ feature of Drop box allows multiple users to edit the same document. This app allows access to more than 4000 educational videos about Math, Computers and Music, etc. It also offers comprehensive information regarding admission process of different colleges. A student can also prepare for SAT with the help of this app. Khan Academy is among the best free education apps. It is regarded as the ‘Star Trek’ of apps offering more than 10 trillion data items and 50,000 equations. The app would use this enormous data to provide answers and prepare reports on many topics from including but not limited to mythology, genealogy, astronomy, and trigonometry, etc. It also makes graphs with step by step information and explanation, and details of formulas. The Wolfram is a student’s best friend and his tutor. Easy Bib is among the best free education apps out there. The most time-consuming part of preparing a research paper would come towards the end which needs you to prepare the bibliography. The EasyBib app would allow a student to form the list of references in thousands of citation styles including the MLA and APA formats. The only thing that a student needs to do is type the name of the book, and the app will provide many options for choosing the citation style. The barcode of a book can also be generated for citation. This is simply a great app which allows replacing paper planners. What it does is keep track of the entire workload over several different platforms and gadgets. Users will also be able to manage their classes with the help of timetables. They can also keep track of exams and task in the cloud. 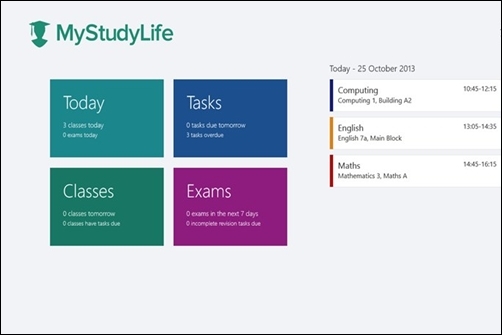 There are also notifications for keeping a user up to date with classes, tests and exams. A simple and user-friendly interface makes this app extremely easy to use. Classes can also be color coded in the calendar for easy usability. This is a no-brainer app which allows access to MS Word, Excel and PowerPoint documents on Android devices making it one of the top free education apps. If a user wants to start homework and there is no laptop around, they will have the ability to create new MS Word and MS Excel documents on a mobile phone. This is an addictive app as well as fun to use when trying to learn a new language. It pairs words with photos in the same way as Rosetta stone. Users can learn French, Spanish, Italian, Portuguese and other languages with the help of speaking exercises and games. If a user has an inkling of a language, he / she can begin at a later stage rather than from the very beginning. This is regarded as the Netflix of books. It allows access to more than a million books, audiobooks, and other academic documents. It also recommends books for users based on their old likes and dislikes. Users can also store books on their mobile devices. Scribd came at number two in our list of free education apps. It is essential for a student to get the right amount of sleep each day. If you haven’t slept well at night, there is every chance that you will not be able to do well in exams. This app analyzes the sleep stages of the users. This analysis is carried out based on years and years of research on sleep science.